What Are Polarized Sunglasses? Do I Really Need Them? Choosing the right sunglasses can be a chore in this current market overflowing with so many different styles and models. Polarized vs non polarized lens, blue colored lens vs yellow colored lens, branded or non branded, so on and so forth. You can find sunglasses touting 100% UV protection for as cheap as a dollar at the dollar shop to those branded sunglasses going for thousands at Neiman Marcus. So how, pray tell, will you be able to choose? You can start by considering the type of lens that may be better for your eyes. Polarized lens is a popular eyewear option among boaters and fishermen, and have been gaining traction from outdoor enthusiasts these days. One common question about polarized lens is does wearing polarized sunglasses really make a difference to your eyesight? 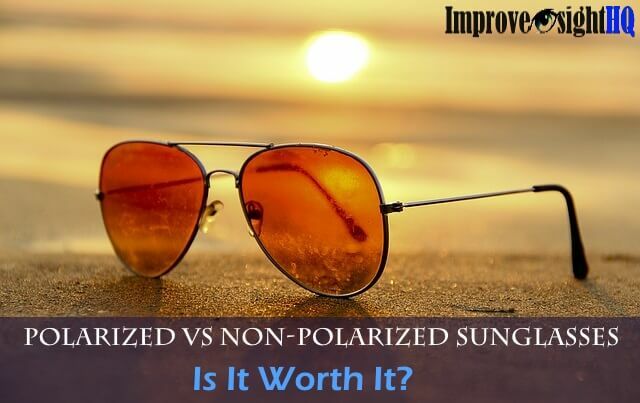 Wonder no more as we delve behind the wonder world of polarized lens, and give you the lowdown on differences between polarized and nonpolarized sunglasses! How Does Polarized Lens Work? In general, light can get absorbed, scattered, refracted or reflected. When light is reflected from highly reflective horizontal surfaces like the surface of the sea, the light is reflected back horizontally, producing a strong glare. This is the reason why you cannot see anything below the surface, even if the water is very clear. Polarized lens works by filtering out the horizontal polarized light, and only allowing vertical light rays to pass through. This minimizes the glare that you would normally get without the glasses. Simply put, polarized lens help to make your eyes more comfortable by minimizing glare. You can see the effects of polarization by wearing polarized sunglasses and looking at a pond. Because of the polarization, you may be able to comfortably see through the surface of the pond, which was previously clouded by reflections from the sky. On the other hand, non polarized lens does not have the filter to reduce the amount of horizontal glare. Hence, wearing non polarized sunglasses may make working in the outdoors tiring for your eyes. Does Polarized Lens Provide UV Protection? 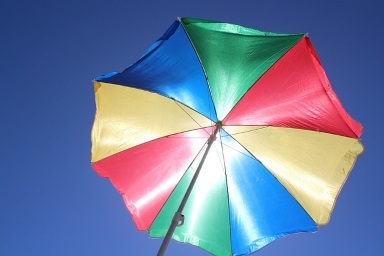 Ultraviolet (UV) light can cause serious eye problems. Typically separated into two categories based on wavelength and frequency, UVA is long wave ultraviolet light while UVB is short wave ultraviolet light. The cornea of our eyes naturally absorb all of UVB and most of UVA light as part of its protective mechanism, but some of the UVA does make it through and get absorbed by the lens. When enough UVA is absorbed into the lens for prolonged periods of time, you can develop cataracts. In addition, as most sunglasses have darkly tinted lenses, that encourages your pupils to dilate, to allow more light in. What that means is that more light actually goes into your eyes when you wear sunglasses. Hence it is crucial to make sure that your sunglasses have full UV protection for your eyes’ safety. So is it safe to assume that since polarized lens can eliminate horizontal glare, that it will also offer UV protection? Due to the filter, polarized lens will be able to block some of the harmful UV light, but not all, as vertical light rays are not filtered, and some UV light would still pass through. Although, with all other factors being equal, polarized lens would probably offer more UV protection than non polarized sunglasses. To make sure that you get full protection, do make sure to get polarized sunglasses that are coated with UV protection, and can filter out all UV light. Look for stickers indicating UV400, which means it blocks out all lightwave up to 400 nanometers. This includes UVA and UVB. Unfortunately, many sunglasses that are advertised as polarized sunglasses are actually not polarized. Scamy advertisers claim their products to be polarized do so to fetch a higher price for their wares. Fortunately for us, there is a simple way we can find out whether said sunglasses actually have polarized lens before we shell out our cash. To do so, find a reflective surface, and look through one of the lenses. Then, you would want to slowly rotate the glasses to 90 degrees. If the lenses are polarized, you would see a significant diminishing of glare as we change the angle of the lenses. If the glare remains the same, smile politely, put the glasses back on the rack and save your money. If it is not obvious enough, test it with your handphone like the video shown below. As with all things in life, the answer is very much dependent on what you plan to use it for. You enjoy outdoor activities like golfing, spearfishing, hunting, etc. Studies from as early as 1980 have suggested that, compared to diet and hormonal changes, exposure to sunlight is a more frequent precipitating factor in migraine. Polarized sunglasses are helpful in eliminating harsh glare, and minimizing eye strains and fatigue. 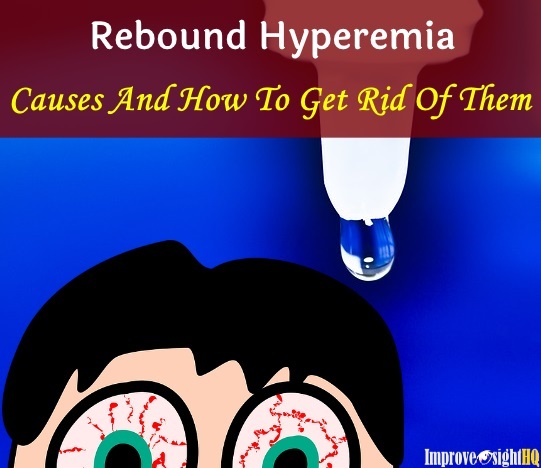 This is because your eyes does not need to constantly adjust itself to main visual acuity. 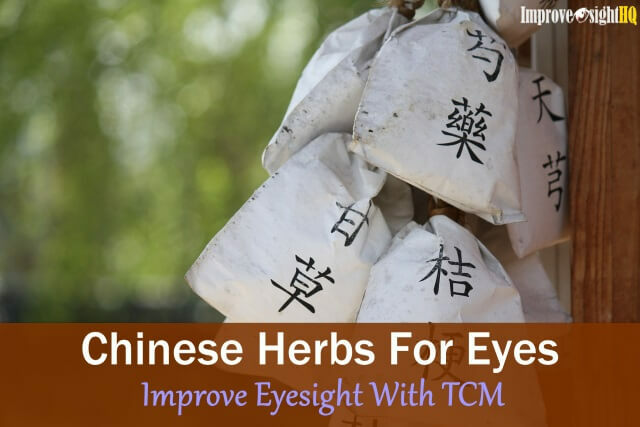 It can also improve your visual comfort because it becomes easier to see things under bright light conditions. Visual contrast for seeing into water should also improve as glare is eliminated. This works great if you plan to fish in shallow areas. A study done in 2001 have shown that office workers working in such conditions often experience eye fatigue due to the reflection and glare from the glossy documents. Implementing polarized lighting have been noted to improve the situation. If your company is too cheapskate to provide polarizing lighting, you can DIY and wear polarized glasses instead. When Are Non Polarized Sunglasses Better? Your job requires you to frequently read LCD or LED screens. The reason is because you will find it almost impossible to read text on LCD/LED screens with polarized lenses. You enjoy skiing. Wearing polarized sunglasses may make it difficult for you to discern between snow and ice patches. Which is very dangerous, by the way. You frequently need to text on your cellphone while you are driving. Which, by the way, is dangerous and illegal in many states. I highly recommend you NOT to do so. You don’t find yourself in situations where glare from light is a constant problem. Cost is an issue. Polarized glasses usually cost more than non polarized ones. Many would consider the glare minimizing function of polarizing sunglasses to be its main selling point. Too much glare can induce eye strain and fatigue, and can result in migraines in people who are sensitive to light and glare. These sunglasses prevent sunlight from entering from the sides, and provide adequate protection from UV light. If you find wraparound sunglasses not up your fashion alley, consider instead larger frames or frames that are close fitting. The whole point is to prevent stray light from entering your eyes, so larger frames and close fitting frames would be more effective than standard sunglasses frames. Ones that are free of wave distortions. To tell whether your lenses are of good quality, hold it an arms length away from your face and cover one eye. Find a surface that has a straight line, like your floor tile. Look through one of the lenses at the line as you move the sunglasses slowly up and down, from left to right. If the lenses are of poor quality, the line will wiggle or appear distorted. This means that your vision will also be distorted when you wear these sunglasses, which is a big no no. These color can supposedly reduce glare, and provide better visual contrast and acuity. Such colored lenses would be useful if you regularly participate in sports like golfing or water and snow sports. If you can see your eyes through the lenses, it is not dark enough for all intents and purposes. Aim to screen out at least 75 to 90% of light with a darker lenses. That being said, the color of the lenses is not indicative of UV protection. Insist on making sure that your sunglasses have UV protection above anything else - polarized or not. Considering the factors stated above, we recommended the following as the best polarized sunglasses. In terms of form and function, the Duduma Polarized Sports Sunglasses get a nod from us for being the most value for money polarized sunglasses. Let’s talk a little about the Duduma sunglasses review. So confident of the product, the Duduma have a 30 day money back guarantee, lifetime breakage warranty on the frame AND lens, and offer lifetime after sales service regarding their products. Their Japan made TAC polarized lens have 7 layers, which includes a polarized layer, 2 layers of UV protection that blocks 100% UVA & UVB, 2 layers bonded for durability and the last 2 layers which are shatter proof. The lenses are made from polycarbonate, and is rather lightweight. This makes wearing these babies comfortable even if you have them on for prolonged periods. Ranked #3 on Amazon Best sellers list for sports sunglasses, the Duduma sports sunglasses cost less than $22, is an unbeatable offer for its form and function. Does the Duduma sounds too good to be true? Many liked the sleek look of the Duduma, while a few commented on how cheap looking it can be. Some also reported peeling of the clear coating after a few months. The company took action regarding the negative feedbacks and upgraded the frame and improved on their lens to avoid peel off. Talk about great customer service! Well, the actual deal breaker for you may be if you have a wider face. The Duduma can feel quite small for some facial types, and some reviewers have complained about feeling a pinch around the temple, which can be uncomfortable. That being said, the Duduma cost around $22 and does have a 30 day back guarantee… Nuff’ said. If money is not an issue, you may want to consider getting any sunglasses from the Oakley Jawbreaker Series. The Jawbreaker is an excellent investment if you are constantly on the road, or an avid cyclist/runner. Make no mistake about this. The Jawbreaker series is cool. Even if you have a goody two shoe face, the Jawbreaker will have you looking like a serious athlete. Oakley takes into consideration facial shapes, so if you have a narrower face shape, you can consider the Jawbreaker Asian fit for a better fit. The top is slightly extended, providing good protection from stray light around your forehead. The arms are also thick and wide enough to block out excessive light from the sides. It is lightweight and flexible, making the wear comfortable for prolonged periods of time. Many Amazon reviewers remarked how well made these frames are. Despite its lightweightness, it would appear the Jawbreaker is good value for money for its well built and long lasting frame. The lens is one continuous piece and you can easily buy replacements online. Polarized and 100% UV coating is a given. What gives Oakley lenses the advantage is their patented high definition optic lenses which provides superior optical clarity and razor sharp vision at every angle. This clarity advantage is especially important if you are engaged in demanding sports and environments. Be it truck driving over states or cycling the alpines. And you know how polarized lens are crappy for reading text from LCD/LED screens? Oakley got around this tricky issue with clever engineering and now reading from your cellphone is a non issue wearing their polarized lens. Oakley have a great reputation for making good quality lenses, and provides an excellent visual experience in whatever demanding scenario you find yourself in. As always, nothing is perfect, well...maybe except for hot chocolate on really cold days, but we digress. Fogging is sort of an issue when you perspire too much, be it from the humidity or from exertion. The lenses do stay in position despite the wetness, but some reviewers noted that the Oakley lenses can fog up after a long while in humid conditions. That being said, many users report that this is the best sports sunglasses they have gotten and worth every penny paid. So if dough is not an issue, what are you waiting for? So Do I Need Polarized Sunglasses? Good quality polarized sunglasses is a great investment for your eye’s health if you live an active outdoor lifestyle or find yourself constantly in situations where you are exposed to glare. There are times where polarized sunglasses can interfere with some daily activities such as reading text from LCD screens. Thanks to clever engineering, there are polarized lens available now that can easily circumvent that issue. Whether or not to get polarized sunglasses should be dependent on your lifestyle, budget as well as eye health. You can also check with your eye doctor for their advice on the next eye checkup. Expensive does not necessary mean that it is of good quality, yet cheap glasses that are well made is somewhat like winning the lottery. A lot of luck is involved. We hope our reviews for the best kinds of polarized sunglasses made things a bit easier for you. P.S. 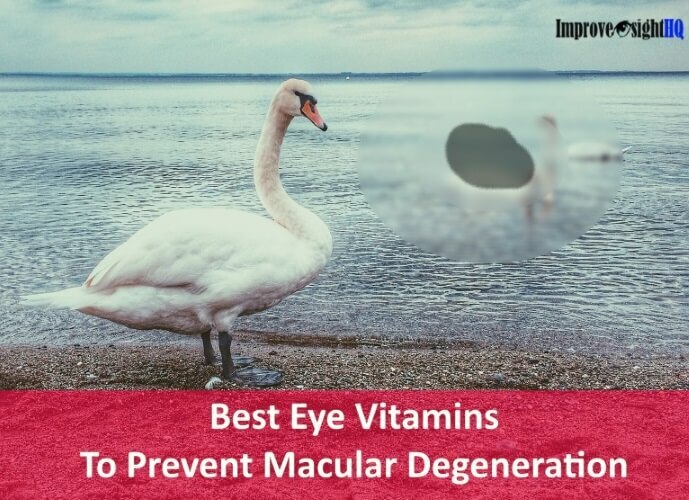 Consider taking some eye vitamins to combat the oxidation effect from the sunlight if you are constantly out in the open. 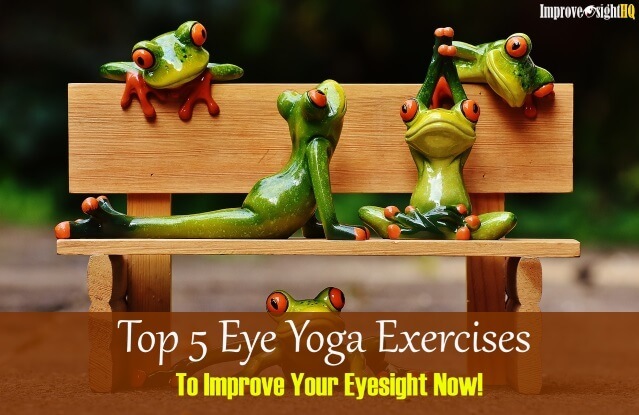 It can benefit you and may prevent cataract in the long run. Vijayan, N., Gould, S., & Watson, C. (1980). Exposure to sun and precipitation of migraine. Headache: The Journal of Head and Face Pain, 20(1), 42-43. Japuntich, D. A. (2001). Polarized task lighting to reduce reflective glare in open-plan office cubicles. Applied ergonomics, 32(5), 485-499.